This is quite simple! If you have ever worked in programs such as Microsoft Word, when dealing with images all you have to do is click and hold any of the corners and move your mouse to make images bigger or smaller. It's the same for Yola. If you move your cursor over this square, you will see your cursor shape changes. 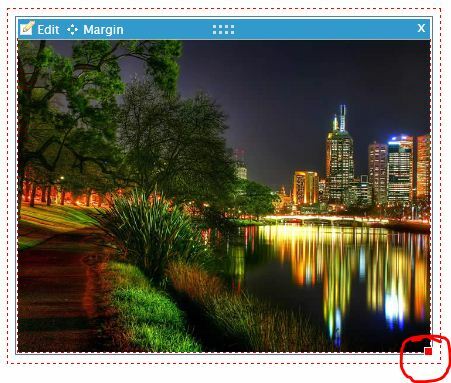 Click and hold down your mouse, and drag the corner to increase/decrease the size of the picture.